We have a more leisurely day planned today. 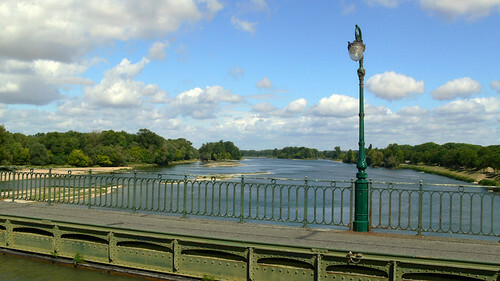 The only thing we actually have planned is to drive down the valley following the route of the Loire and ending up at Briare to see the aqueduct, a lot of which was constructed by the fella who built the Eiffel Tower. 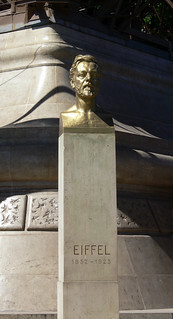 This is the bust of Gustav Eiffel by the north pillar of the Eiffel Tower in Paris. 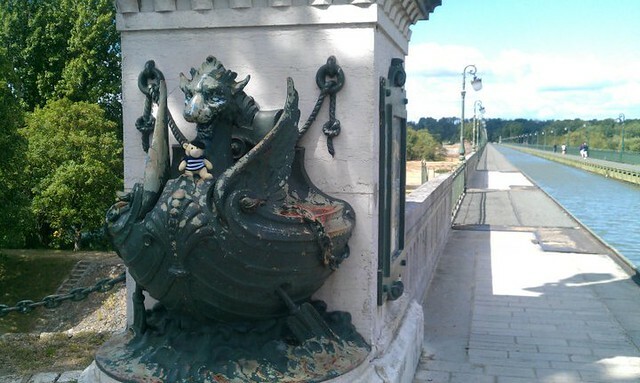 There are these amazing sculptures on the pillars at each end of the aqueduct. 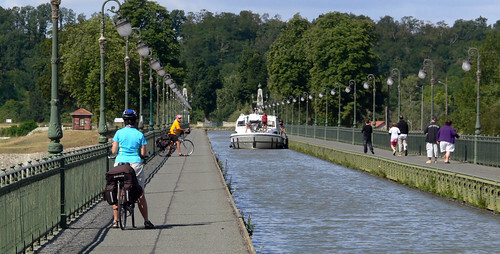 Up until 2003 it was the longest aqueduct you could cross in a boat in the world. 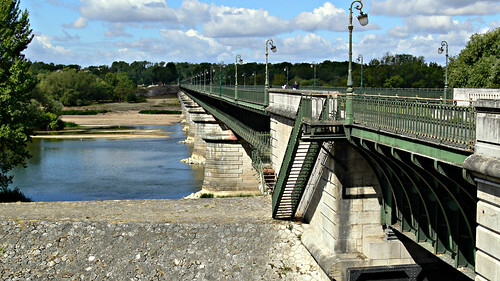 It is 662 metres long and it holds about 13,000 tonnes of water! 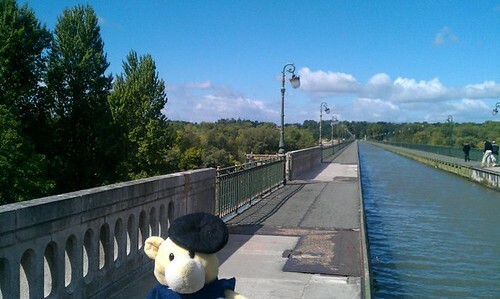 The river Loire is huge here where the aqueduct crosses. Here comes a boat now. 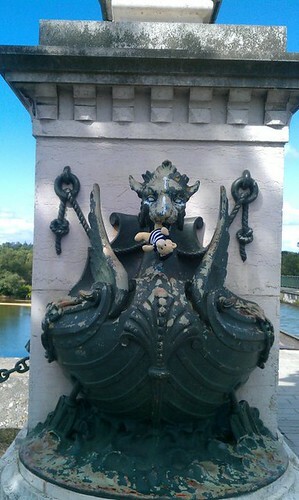 Each end of the aqueduct has these ornamental columns which are just like the ones on the bridge Pont Alexandre III in Paris. What a nice morning it has been. We went for a walk all the way to the end… and then all the way back. As you do. 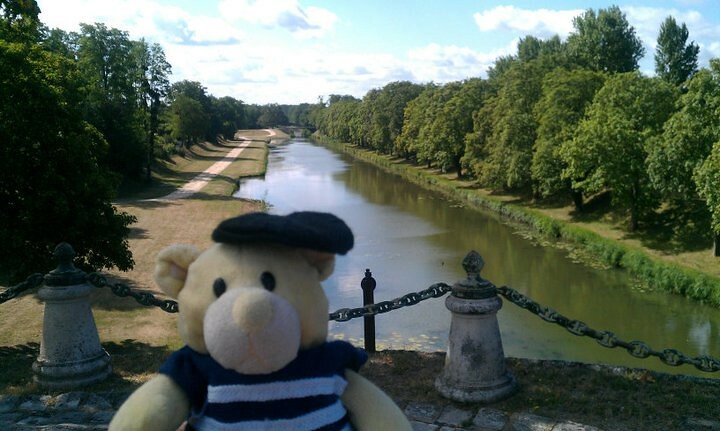 After the stress of that little episode we leave Briare and head off for a drive into the countryside where, quite by chance we come across the most wonderful animal park which I’ll tell you all about next time. Your outfit looks adorable. You are clearly a bear who knows to dress for everything and I am sure ALWAYS packs light!